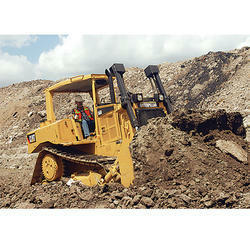 Distributor / Channel Partner of a wide range of products which include earth moving equipment rental services. We are one of the leading enterprises in the market, extremely efficient in offering Earthmoving Equipment Rental Services. We provide Fixed hourly operating cost, Guaranteed machine availability, Maintenance & Spares, Lubricants, S.O.S, Repairs & Overhauls, Maintenance Management Function. Demanded in road construction and building construction sectors, our machinery requires less maintenance and can perform without any difficulty.